Do you have questions about your Fork Rhino or simply want to learn more about the product and its versatility? Read our Fork Rhino tips and be sure to check back often for new additions. 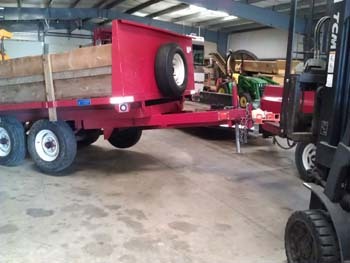 Use drop-hitch inserts to pick up trailers with very low tongues or flip the insert over and re-mount the ball for trailer tongues that need lots of clearance underneath. Using the Fork Rhino, lift the first axle and tire off the ground for tight pivot turns to eliminate dragging tires. 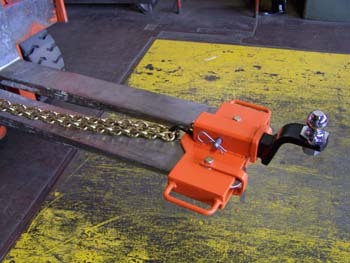 A standard 1 7/8" ball used with either "The Original" Rhino or the Rhino Receiver will universally work for all the trailer couplers, including pintle hitches as long as there is sufficient tongue weight and flat grade. 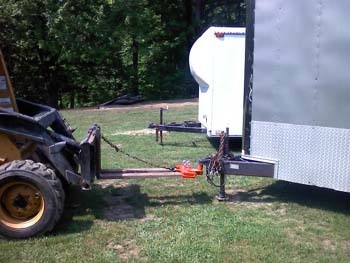 The Fork Rhino can be used to present a trailer within inches of your truck hitch to reduce alignment frustration. 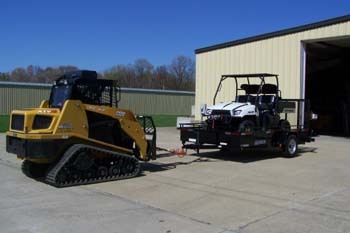 Visibility and situational awareness while positioning trailers are increased while using a forklift and Rhino. 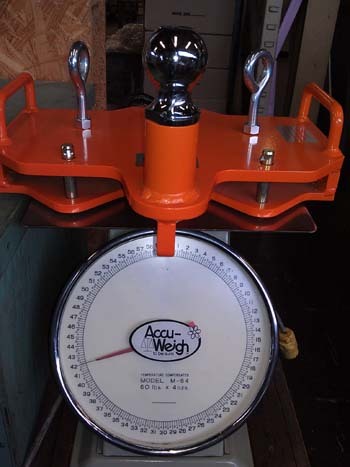 The Fork Rhino is easy to store and carry - only 52 pounds (shipping weight). 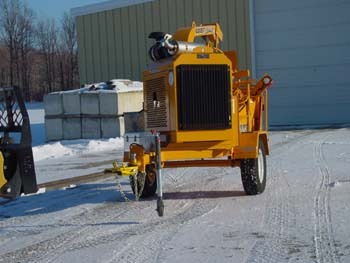 In tight maneuvering situations, it is easy to set the trailer tongue down and re-position the forklift for another lift. 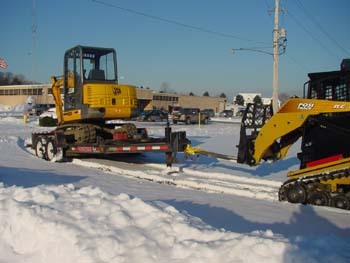 On construction sites, use the Fork Rhino on skid steer forks to pull trailers through off-road or muddy areas.